Illegal trafficking and poaching of wild fauna and flora species has become one of the illicit activities of great concern worldwide, threatening the security, natural resources and cultural heritage of many countries and regions. Every year, 1.5 million live birds and 440,000 tons of medicinal plants are smuggled illegally and more than 100 tigers, 1,000 rhinoceroses, 30,000 elephants and around 100,000 pangolins are killed. If the current trend continues, the next generations will witness the disappearance of these species. In this context, ZooHackathon is an international event that took place at the Zoo Aquarium in Madrid, on September 15 and 16, 2018, bringing together technology and innovation to fight against poaching and the trafficking of wild species internationally. The Embassy of the United States of America in Spain, in collaboration with the Ministry for the Ecological Transition; the Nature Protection Service of the Civil Guard (SEPRONA), the Parques Reunidos Foundation and the Zoo Aquarium in Madrid celebrated, for the first time in Spain, this important technological event that aims to gather a relevant number of creative experts from the community technology, over a weekend, with the aim of developing innovative solutions that contribute to dealing with poaching and international trafficking of wild species. This event is part of the actions planned in the 'Spanish Plan of Action against illegal trafficking and international wildlife poaching' (PlanTIFIES). What motivated the inLab team to participate in this Hackathon is the problem that attacks, which is of great magnitude and must be solved. As computer scientists it was a nice challenge and we felt the responsibility to contribute our knowledge to solve problems of all kinds and different disciplines. Our project, "Poach The Poachers", aims to fight against illegal animal trafficking on the internet by intercepting ads in online stores. The objective is to find the people behind the ads, because at this point we can not do anything for the animal. Currently the detection of these ads is manual and slow (on average, an illegal ad is detected every 15 pages visited), while the purchase and sale of these products expands rapidly and massively due to the facilities offered by the internet. For this reason, our system aims to automate the detection of these ads so that state security forces and bodies can visualize and classify them, in order to intercept illegal traffic and reduce it. To develop the tool, we follow a process that consists of three phases: obtaining data (doing web-scraping of pages such as Milanuncios, TodoColecciones, Wallapop), analysis (image recognition and processing of text of the ads) and visualization (in a Web Application). The visualization offered by our tool consists of a listing and analysis of the ads detected as potentially illegal, as well as their sellers, a geolocation map to detect patterns, and a graph between buyers and sellers. 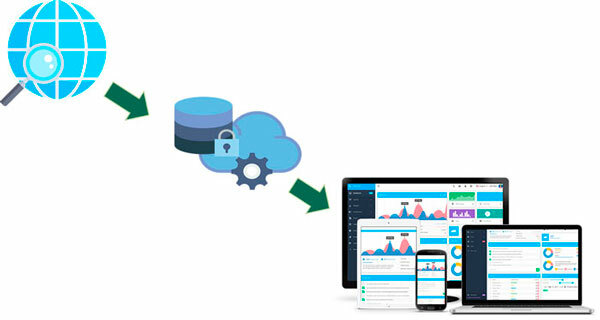 In summary, the developed tool aims to automate a process so far manual, with the aim of increasing speed and offering a filtering and traceability of data, applying techniques of image recognition and artificial intelligence. 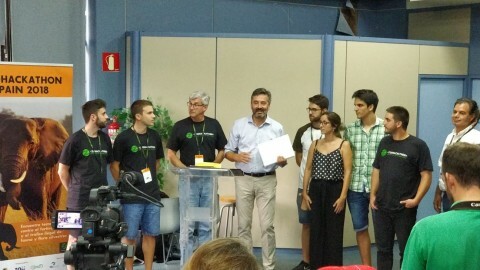 Team members: Sergio Paredes (inLab), Francesc de Puig (inLab), Josep de Cid (inLab), Gisela Ruzafa (inLab), Pau Torrents (student FIB) y Gonzalo Recio (inLab).